Although it was almost 30 years ago, we remember quite clearly hearing the news that Fr. Carl Kabat and Helen Woodson were sentenced to 18 years in prison for using a sledgehammer, jackhammer and household hammer with two others to disarm a nuclear missile silo in Missouri. It stands as the longest prison sentence for a nuclear disarmament action to date. In September, the most recent group in the Plowshares tradition to use hammers to beat swords into plowshares – the Transform Now Plowshares – will be sentenced. Sr. Megan Rice, Michael Walli and Greg Boertje-Obed, convicted by a jury of sabotage and depredation of government property at Tennessee’s Y-12 nuclear weapons complex, are already in jail and each faces up to 35 years in prison. The Nuclear Resister supported Helen and Carl while they were in prison for that and subsequent actions. * Since 1980, we have also encouraged support for more than one thousand other men and women who have spent from two weeks to several years in prison for protesting nuclear weapons, nuclear power and war – just as we will support Megan, Michael and Greg through whatever lies ahead. Also very much on our mind is the court martial of Wikileaks whistleblower Bradley Manning beginning this week. Manning has already spent three years behind bars, and faces a possible life sentence. Whistleblowers should be thanked and honored, not punished. The Nuclear Resister will continue to encourage support for Bradley Manning during these months of his trial and beyond. We can’t do it alone. It is your support that has made it possible for the work of the Nuclear Resister to continue over the past 33 years, nearly half of the Nuclear Age. 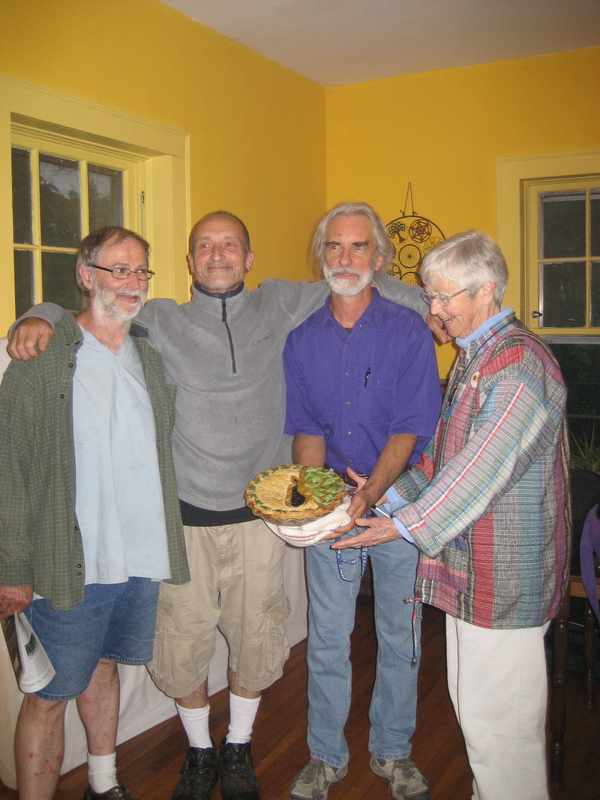 Please join us in standing with Greg, Michael and Megan, with Bradley and all anti-nuclear and anti-war prisoners of conscience. Please make a donation today. We ask for your continued support to bring encouragement and inspiration to activists old and new, connect far-flung global actions and provide a wider awareness of the men and women in prison. Donations tend to slow to a trickle during the summer months, so any contribution at this time, even a couple of dollars, is helpful – it all adds up! * As many of you know, Helen was released from prison in 2011 after a couple of more actions and a total of 28 years in prison. She is happy and well. We recently saw Carl, who was also in Knoxville for the trial. He invites everyone to join him (and his Oblate Provincial) for a nonviolent action at the Kansas City nuclear weapons plant on July 13 (see the Future Actions listing for details).